With the announcement of the features of iOS 10, some of the features of the new iPhone 7 has also been confirmed. iOS10 was one of the biggest launch for the OS, changing lot many things and way we use our iPhone. From redesigned apps and a feature packed Messages app, to more freedom for developers and a smarter Siri, iOS 10 has a lot to offer. The OS is going to be released in fall of 2016. Keeping the facts of earlier release the device is expected to be launched in early September. As Apple has launched its new operating system for iPhones and iPads, what new operating system iOS 10 tell us about the iPhone 7? Today in this article we are going talk about the five such features of iPhone 7 which has been reveled with iOS 10. With the history in mind the new flagship from Apple will be launched in Fall 2016, along with iOS 10. As a standard practice, iPhone is announced during the second week of the month(September), and goes on sale the following week. With iOS 10 Apple has announced the new and interesting use of 3D touch, which clearly indicates that the new flagship device will have more options and functionality with the better 3D technology. 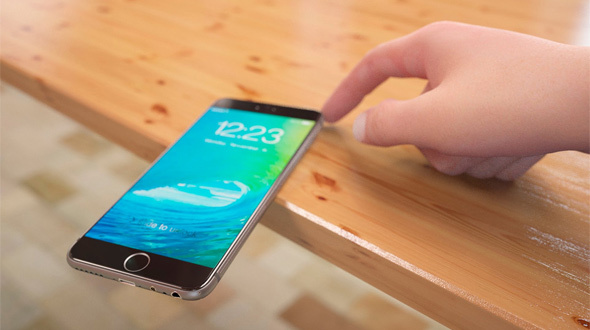 We can also expect moving of fingerprint scanner from the home key to screen of the iPhone. With all new and great Photos app, with smarter sorting, handy memories and the ability to edit Live Photos. We can bet that the camera of iPhone 7 is going to redefine the abilities of phone camera. As technology innovator we always expect that from Apple. It is expected that the camera of iPhone 7 will be loaded with all the new features and technology to use the maximum of the features announced in iOS 10. We are expecting better way of using live photo option in the new flagship of iPhone 7. Better sensors to control things with remote. With the announcement of integrating Apple TV remote app with iOS 10 and it's baking in HomeKit control into the Control Center, allowing you to adjust lights, shutters, garage doors, intercom systems and security cameras all from the palm of your hand. It is expected that the new iPhone will have many more sensors to control many of your daily activities and health. Like other fitness device in market new iPhone might talk to your iWatch in a totally different way. I know that its not a big news, but yes considering the leaks from the past about the updated features in iPhone 7 plus, the device is expected to be the flagship for the iOS 10. It might not be a surprise, Apple launches three devices this year, considering iPhone 7 pro in the line. These are some of the great features which are expected to be a part of the iPhone 7. Do share your feedback and views in the comment section below.